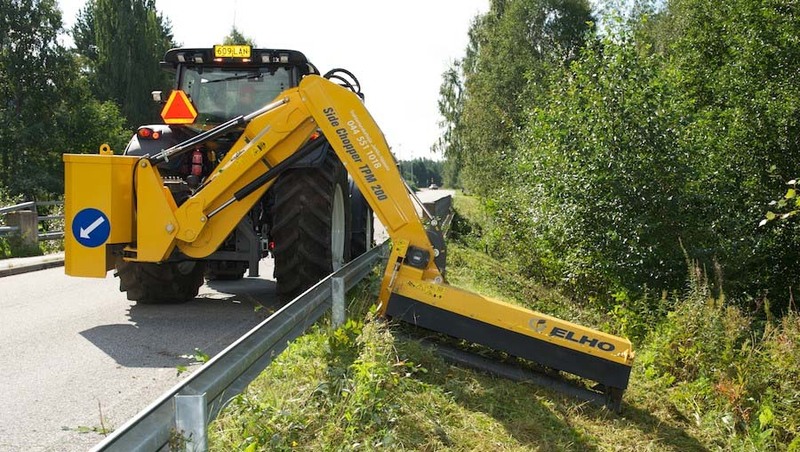 The ELHO Side Chopper TPM 500 PRO Machine Arm is designed for full time work. It is an excellent choice for contractors, municipalities, road maintenance associations, forest road associations and other demanding users. The reach and work area of the machine are sufficient for difficult places as well. 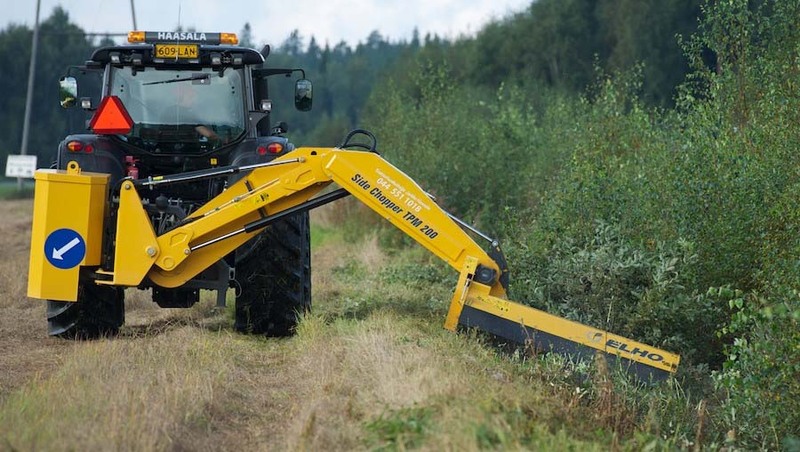 The mulcher can handle thick brush and shaggy grasslands. It reaches over railings and plough markers, cuts nearly 6 meters vertical and reaches down to the water level even in deep and wide ditches. The reach of the TPM 500 machine arm is 5,2 meters with the Pro 210 rotor mulcher unit and 5,7 meters with Tornado 2XL Chain mulcher unit. Measured from the tractor centerline. The power transmission for the Side Chopper TPM Pro machine arm is fully mechanical with high-powered V-belts. The cutter head can be used in all positions and angles, even upside down above the cabin. Horizontal and vertical movements are hydraulically adjusted. The PTO shaft is equipped with a freewheel clutch.